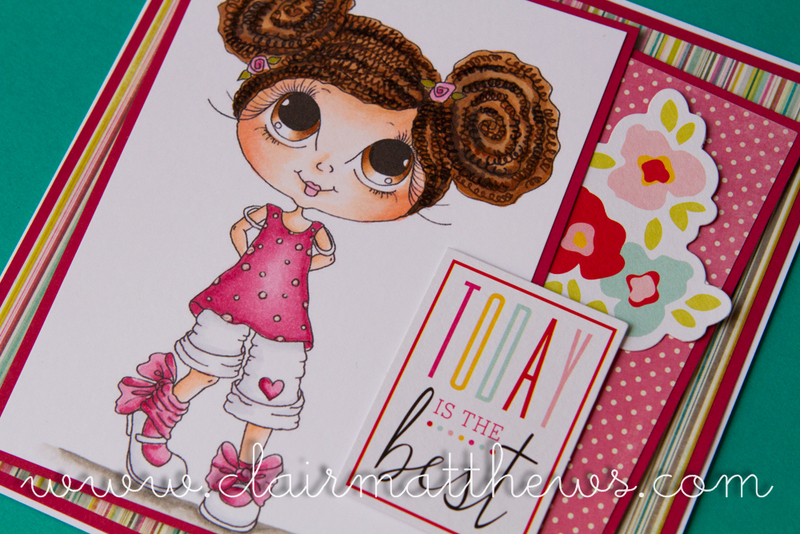 Clair Matthews: My Besties DT.. ..I hope you like her, she was great fun to colour..
She's a doll...Such a pretty card! Hi Clair, this is a gorgeous card. 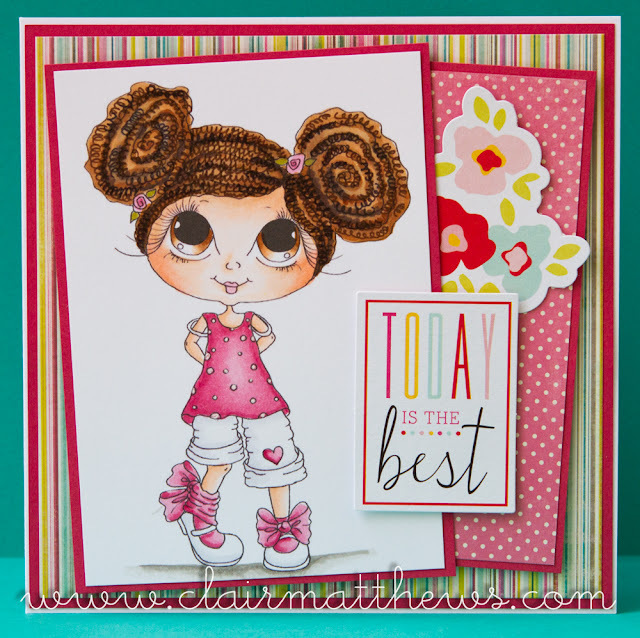 I love your colouring - her hair is amazing, and your card design is really striking - such a great colour combination.